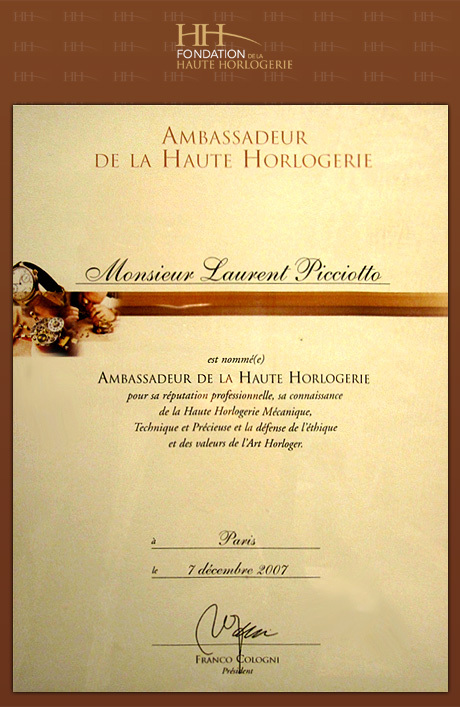 When you ask Laurent Picciotto about the reason for his long-standing partnership with Grand-Perregaux, he’s likely to take some time to weigh his words; there are so many good reasons for working with ‘GP’ that he needs to be sure of highlighting the right one – the one that would endure even if all the others were no more. He finally chooses to illustrate this, the reason, with an occurrence over twenty years ago somewhere in the midst of BaselWorld. “It was in 1991,” recalls Picciotto. “I was doing my rounds of the exhibition, and suddenly came to a halt in front of the tourbillon with three gold bridges. I went into the stand and asked them for a case containing three numbered timepieces, one for each type of finish. This outstanding box set, sold a few months later to one of my clients with a collection of over one thousand watches, remains for me the defining moment of all my work with Girard-Perregaux”. What emerges is that the key reason for this work together is the brand’s ability to offer exceptional timepieces that take everyone by surprise – whilst seemingly blending in flawlessly with the traditions of haute horlogerie. And so, over the years, the production of limited editions – and sometimes even unique items for Chronopassion – has become a regular feature of the two big names’ collaboration. Most of the brand’s collectors became aware that in rue Saint Honoré, they could winkle out timepieces they would never see anywhere else. A friendship was formed between the two owners, Luigi Macaluso and Laurent Picciotto, which lasted right up until Luigi’s death in 2010. Picciotto’s expectation today is that Girard-Perregaux plays to some other defining characteristic of the world of watchmaking – the stuff that great manufactures are made of. “It’s an institutional brand that commands respect and sobriety,” he adds. “This kind of brand has a duty to anticipate and surprise people. 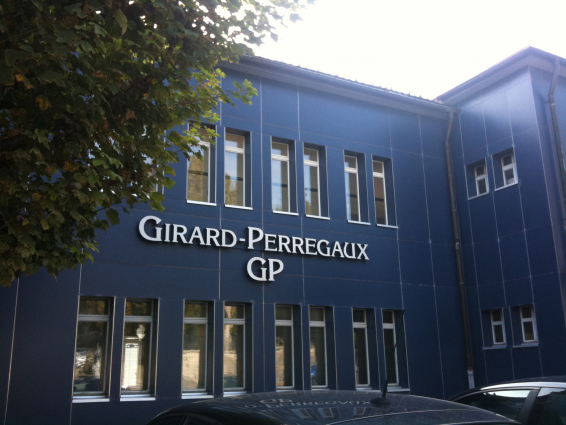 Girard-Perregaux has done so on a number of occasions and will do so again.” Keep your eyes open – “GP” could well show up just where you’re not expecting it.